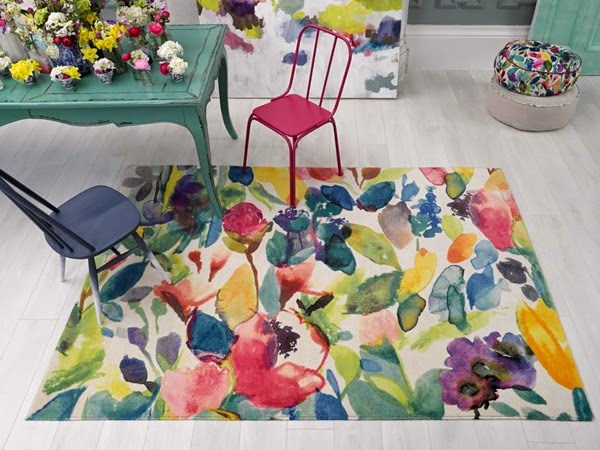 Bluebellgray's spring/summer 2014 rug collection, Somerset, features an array of largescale florals in striking, saturated colours, bringing a sense of fresh wildflowers in to the home. 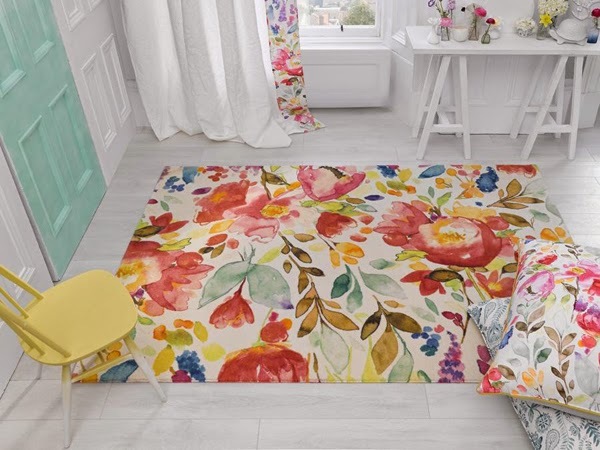 Designer Fi Douglas says that she wanted to look back at the roots of Bluebellgray's design, using the bright, popping colours and signature florals that their customers always invest in. 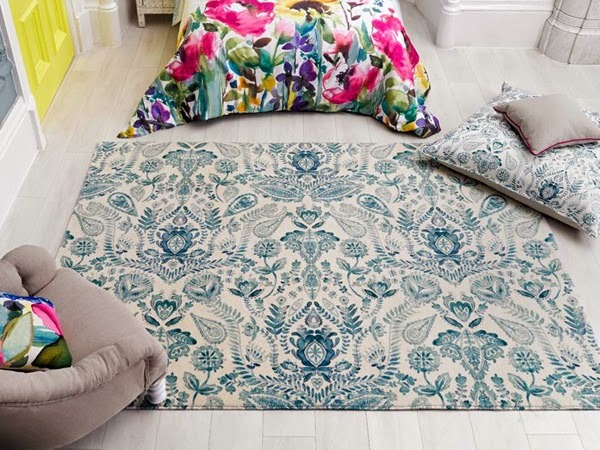 The watercolour effect graphics is a trend we have previously analysed for soft furnishings for this season, including at High Point 2014 which subscribers to Homebuildlife can see here.